The 5.5% ABV Aerialist and 5% ABV Uprisin’ will hit shelves in six-packs across North Carolina, South Carolina, and Tennessee over the next two weeks. Both beers will also be available on draft in numerous bars and restaurants across these territories through July. 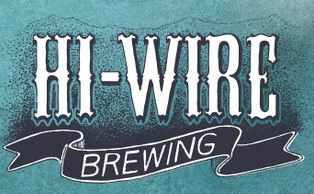 In summer of 2015 Hi-Wire Brewing opened a 27,000 square foot production brewery in the Biltmore Village area of Asheville, North Carolina. This took the then two-year-old brewery from a single, small tasting room to a regional brewery with two locations that boasts a combined capacity of 70,000 barrels. This increase in space gave the brewery the opportunity to expand the variety of beers they offered craft beer lovers. 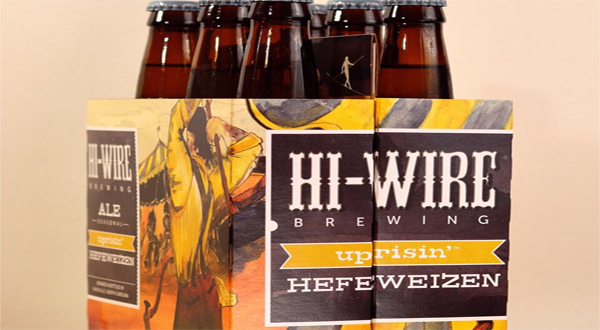 As a result Hi-Wire has expanded their portfolio to include a quarterly release of lagers as well as a wide variety of small-batch specialty ales.